Olympic Port Fantastic 4* just minutes from the beach. Castelldefels. Excellent 4*close to the beach. Eixample. Adults only 4* with a pool. Diagonal Mar Modern 4* with rooftop pool. Sarria-St Gervasi. Budget hotel in an exclusive neighbourhood. Diagonal Mar. 4* close the the beach. Olympic Port. 4* Hotel just 500m from the Beach. El Prat. 4* close to airport. Gran Via. Brand New 4* with rooftop pool. Airport. Stylish 4* with spa. Eixample. 4* Hotel with full leisure facilities. Sitges. 4* Boutique hotel with fantastic beach location. Sitges. Artistic 4* in a prime beach front location. Central Barcelona. Budget Hotel in Excellent location. Las Ramblas. 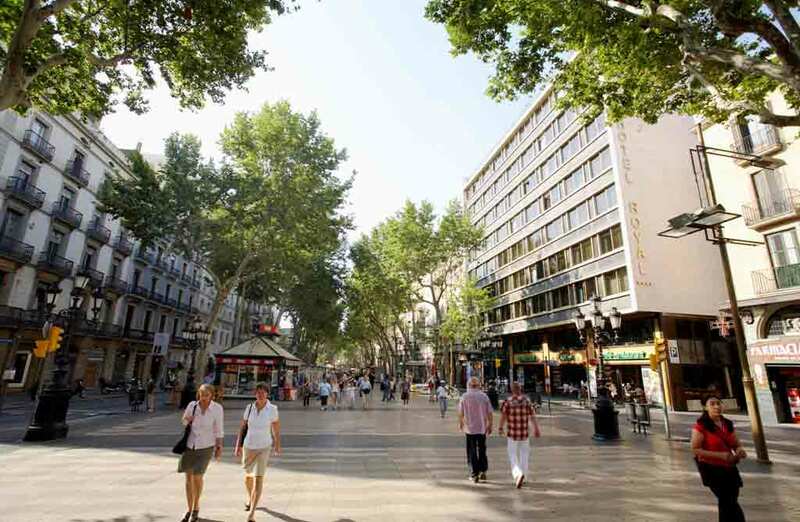 Art Deco Style 4* Hotel located in the heart of the Rambla de Barcelona. Diagonal Mar. Modern hotel just 10 minutes from the beach! Eixample. 4* Boutique Hotel with its own art collection.